Wondering why Australia’s Cross of Valour won’t be coming my way any time soon? 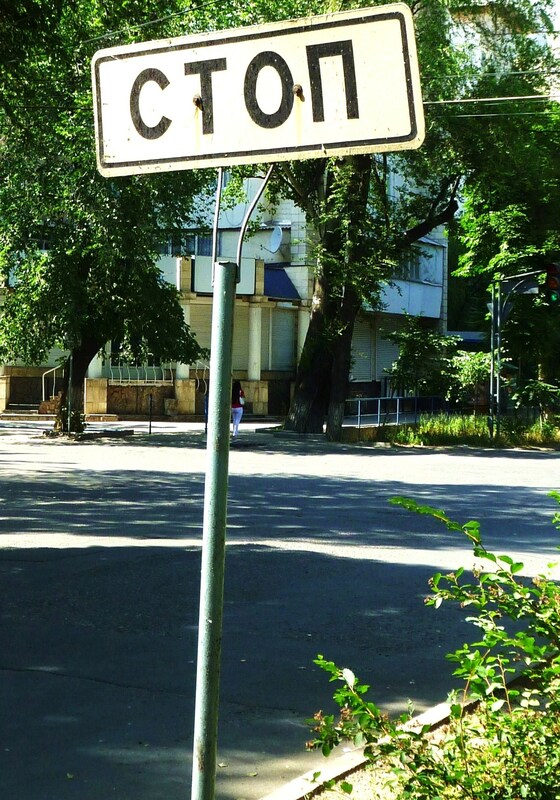 Let me share a few of Bishkek’s serendipitous delights and home truths. Bishkek lies docilely before me. Amongst the proud open concrete spaces that litter this Soviet-styled city, there is a modicum of elegance that the demure tree-lined streets beget. I walk to work every morning, a 30 minute stroll through a smattering of uneventful traffic that pays deference to traffic lights. To challenge myself, I attempt to read the Cyrillic street signs on my way. The weight placed on a university education here remains strong, but Kyrgyzstan’s 8.2% unemployment rate belies the level of under-employment. Healthier job prospects in Kazakhstan and Russia are a double-edged sword, a delicate balance between a reliance on overseas remittances that underpin the economy (US$1.25bn in 2010 – more than a quarter of GDP) versus the seemingly inevitable brain drain. My daily meanderings often take me through the heart of the city, passing the last of the obvious remnants of April 2010’s political upheaval that saw the over-throwing of the former President. 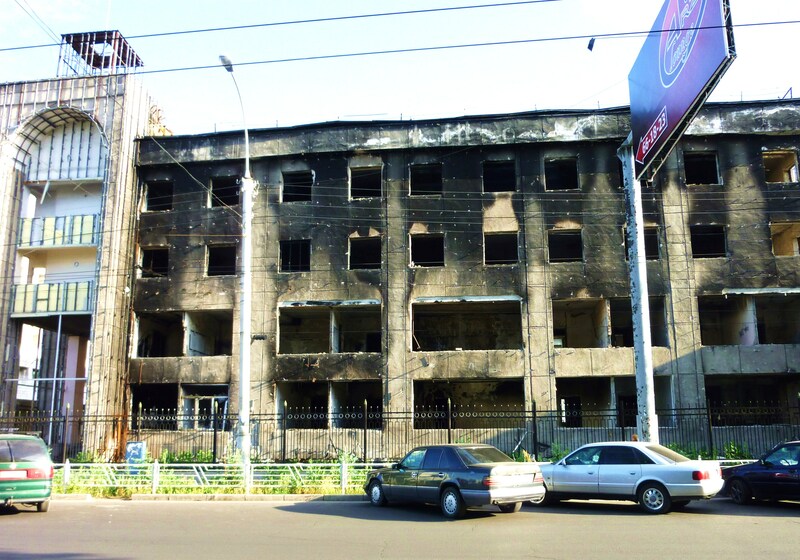 It is a lonesome burnt-out building that I’ve been told was once the Prosecutor’s office. The Kyrgyz people have cheekily enjoyed taking credit for the catalytic effect their revolutionary activities have apparently had on the Middle East. Whether or not the events of April 2010 were a precursor for subsequent popular uprisings, democracy is more than just the flavour of the month in this most progressive of Central Asian countries. The turning tide has seen the power flow back to the proletariat, who are far from afraid of vocalising their discontent at, well… everything! Rather than rabble-rousing in the street, the latest ground-swell movement has seen voters head straight to the top, addressing letters of complaint about court decisions, corrupt policemen and even loan interest rates, directly to the President. At times, my lack of dexterity has seen me struggle to clamber over Bishkek’s slightly cumbersome pavements. However, I attribute the rapid onset of my shortened breath to the city’s elevation (being 800m above sea level), rather than to the quantum of meat I’ve eaten. In a society with a protein-focused diet, I appear to have consumed the equivalent of eight lambs in three weeks – at least that’s what the scales are telling me. With food prices rising 27% over the past year, I have been decidedly lucky. Coupled with the political events of the past year, the IMF announced this month that poverty levels in Kyrgyzstan have been pushed higher in the past 12 months, from 31% to 33% of the population. In order to redress my personal weight imbalance, I have splurged on a month-long gym membership. I’ve also decided to stop measuring my meat consumption, fearing that continuously keeping track of sheep may awaken the narcoleptic in me. My real incentive to head to the gym, however, is hot water. As is common amongst some former Soviet countries, for one month each year, hot water is switched off across the city to conduct maintenance. Fortunately for my housemates, the gym’s water heater has minimised the number of Ned Flanders-like yelps that otherwise emanate from our bathroom on colder mornings. Last weekend, I ventured to one of the city’s many open-air markets. In fact, Bishkek is home to the largest open air market in Central Asia, Dordoy Bazaar, a labyrinth of some 7000+ shipping containers used as store-fronts to sell everything from kitchenware to traditional felt handicrafts. Once upon a time, there was a camel searching for water. It ventured so far from home that it wandered into a rainbow. 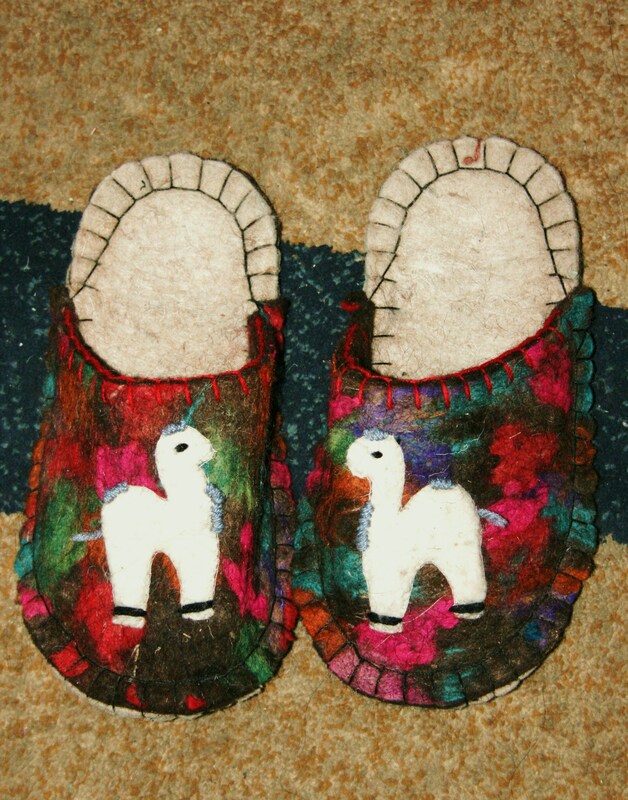 The result, it appears, was immortalised on my new pair of felt slippers. Entrepreneurship is alive and well in this country. In fact, Kyrgyzstan has been one of Central Asia’s most receptive countries to capitalism, having joined the WTO in 1998. However, the political instability and subsequent ethnic clashes in Kyrgyzstan’s south in June 2010 devastated an already weakened economy. Damage to infrastructure and the collapse of the largest commercial bank in Kyrgyzstan, Asia Universal Bank (which was closely affiliated with the ousted President’s son, Maxim Bakiev) saw Real Gross Domestic Product (GDP) shrink by 1.4% last year. It is hoped that microcredit will be one small way of helping many of these market traders rebuild, consolidate and expand their businesses to help revitalise the country’s primary-industry driven economy. Unfortunately, the central bank’s use of contractionary monetary policy (a reduction in the quantity of local currency) to control inflation (2010: 7.8%; 2011 (forecast): 18.8%) has triggered a rise in funding costs for Kyrgyz microfinance institutions. A prolonged period of inflation may indeed see these costs passed onto borrowers, however Kiva is playing a small part in this market by mobilising risk-tolerant 0% interest funding (i.e. funds from Lenders like you!) to support microfinance institutions to achieve their social missions. Inspired or foolish? Debate runs deep amongst visitors to Kyrgyzstan regarding the 3 Som coin (approx. USD 0.07). The odd denomination slots neatly between the 1 and 5 Som coins, though is at odds with the more traditional 20 and 200 som notes. Ingeniously, the 8 Som one-way Marshrutka trip (a public mini-bus) requires only two coins, though my editor noted that the invention of an 8 Som coin would require only one coin. Easy Pay Touch Screen Terminals accept payments for your electricity, utility and internet bills. You can even recharge your prepaid mobile phone across the breadth of carriers. Located at major supermarkets and convenience stores around Bishkek, they’re quick, convenient and bright orange. With technological innovations key to reducing Last Mile lending costs (and therefore interest rates), will self-service microcredit repayment terminals in Kyrgyzstan be next…? There is much to admire about Kyrgyzstan, in all its complexities. Watching a country embark on a quest for democracy whilst harmonising its many ethnicities, is all the more interesting in an economy where microfinance has flourished. Whilst living in Fishcake conjures images of perilous landscapes abandoned by law, perhaps, in Bishkek, the requirement to possess the fortitude of a lion might well be illusory. Miranda Phua is a Kiva Fellow (KF15) at Bai Tushum & Partners in Bishkek, Kyrgyzstan. Learn more about Bai Tushum & Partners here, and support Bai Tushum & Partners’ activities by lending to one of its borrowers here or joining its Lending Team here. Entry filed under: Bai Tushum & Partners, blogsherpa, KF15 (Kiva Fellows 15th Class), Kyrgyz Republic. Tags: 3 som coin, bai tushum, Bishkek, bishkek gym, blogsherpa, democracy, dordoy bazaar, Easy Pay Terminal, economy, entrepreneurship, inflation, interest rates, KF15 (Kiva Fellows 15th Class), Kiva, Kiva Fellows, Kyrgyz, Kyrgyz Republic, kyrgyzstan, microfinance, microfinance funding, microfinance in kyrgyzstan, National Bank of the Kyrgyz Republic, post-conflict, revolution. Hi Miranda, thanks for this great post. I’m traveling to Kyrgyzstan for two weeks next month for work and found this piece a nice intro. Amazing post Miranda, your Orange mile made me think of a blog that was written while I was in Tajikistan by my KF buddy who was also in country. Awesome post… simply awesome. Makes me want to go there. Miranda – as a Returned Peace Corps Volunteer (RPCV) who lived in Uzbekistan from ’99-01 and was “exiled” to Kyrgyzstan for 6 weeks when some rebels invaded the Ferghana Valley, I can totally relate to your post! Everyone thought it was quite amusing that we spoke Uzbek and I’ve taken more cold showers than I care to remember. I just made a loan to a woman looking to build a cafe out at Lake Issy-Kul; I hope you have a chance to visit – it’s great, and you can see China on the other side on a clear day! Best of luck – oh and don’t eat the fat on the shaslick! Miranda, You did it …love it. Wow, thanks for including me on your blog posts. 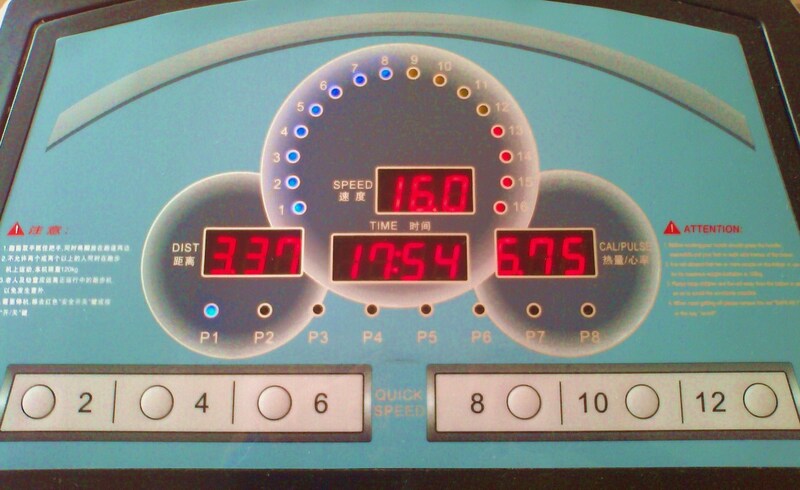 The treadmill speed..hmm it’s all relative.Hopefully you can crank it up to 20 whatever’s by your next blog. It all sounds sound exciting. If Kyrgyz speaking foreigner is a dog, then I wonder what Russian speaking foreigner would be!!!!!!! One of the most humorous, Fellows updates I’ve read, while still quite informative. Well done! Glad you managed to get your blog uploaded, Miranda! Really interesting read. Looking forward to more news from Fishcake! Great work Miranda! I’m sure in three months time you’ll have worked your way up to 39 ancient units per hour and 14 sheep a day! Hi Miranda! Thank you for your post, I have honestly never even heard of this place and now I feel the need to look it up on a map and learn a little bit more. Best wishes in your fellowship and I hope you continue to be safe there!